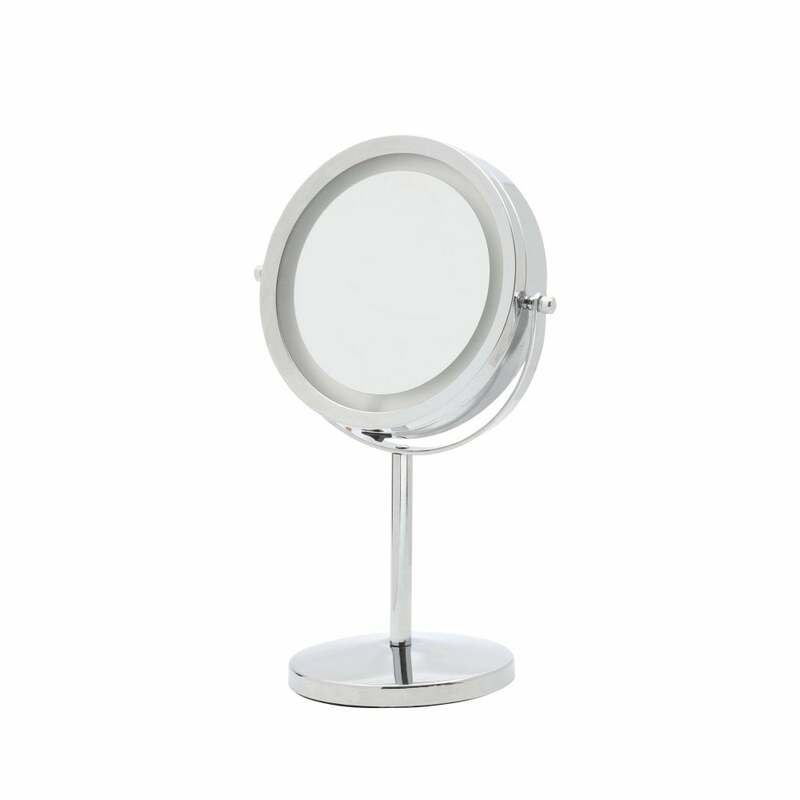 Forum Lighting Asti LED 3 x magnifying cosmetic mirror features a circular base plate with slender stem holding a semi-circular frame that allows the mirror to swivel to give you maximum freedom of movement. The product code for this fititng is SPA-31761-CHR. A large size is also available and a wide range of bathroom mirror lighting can be viewed on our website.